Check out the FB10 made in 1950 by Kolster Brandes. 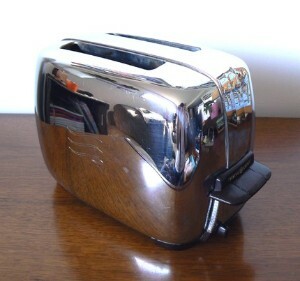 Originally marketed as The Magic Midget and now more commonly known as The Toaster. Moulded in one piece with no cardboard back, it looks good from any angle and the controls cleverly sit, neatly balancing the shape, in the bottom corners like little feet. At only 25 x 17 x 16 cm, it is indeed a tiny little thing and a dead ringer for a 1950’s toaster, both a wonderful piece of practical design. We call this the toaster. 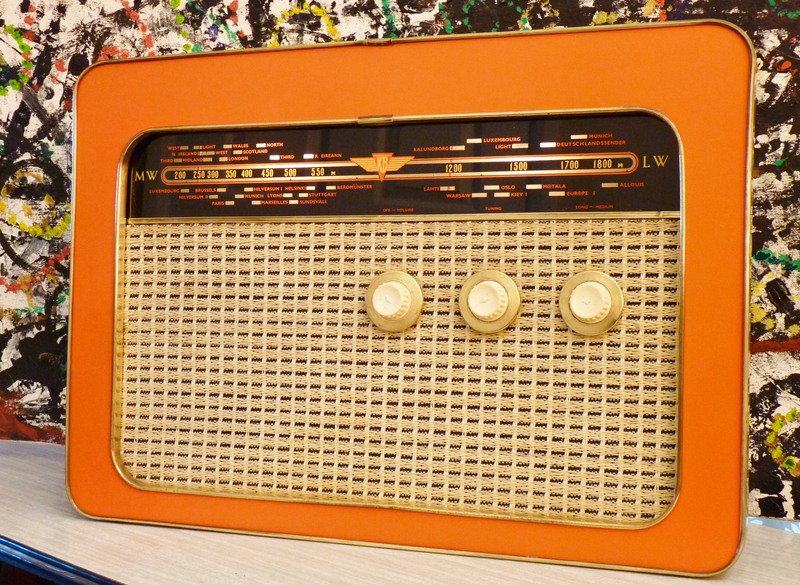 If it’s good enough for the V&A it’s good enough for Wayne’s Radios. They have theirs in storage but we’ve got one ready and waiting to be restored and you could have one on permanent display. This lovely looker was designed by Lawrence Griffin and made in moulded Bakelite by Kolster Brandes Ltd in the early fifties. 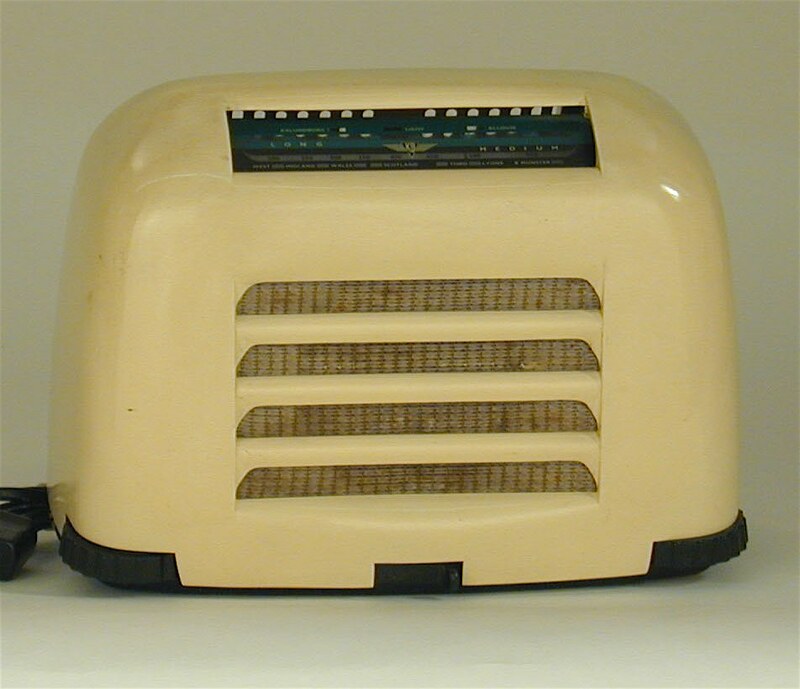 Although this was the first British radio to sell over one million, it is sadly the only one we’ve found so far.